Nina knew that she was adopted and we shared all of the information that we knew. All except one piece of information. When I received the paperwork I had noticed that the attorneys had forgotten to black out her Birth Mother’s last name on one of the bills. That is how I knew that part of Nina’s heritage was Irish. My feeling was that I would honor our agreement that we would not look for her and she would not look for us... until Nina was 18. Nina always talked about wanting to meet her Birth Mother. Two questions that she always wanted answered were: Who do I look like? and Does she think about me? Society is so accustomed to biology, people just naturally try to figure out where the resemblance is: do you look like your Mom or your Dad? Even in school, usually at the beginning of the year the kids always have to talk or write about their heritage. I am searching for my daughter who was born June 7, 1994. She was born in St. Mary's, PA but the adoption took place in Buffalo, NY. I am her birth mother and want to find her. She has a birth mark on her forehead. 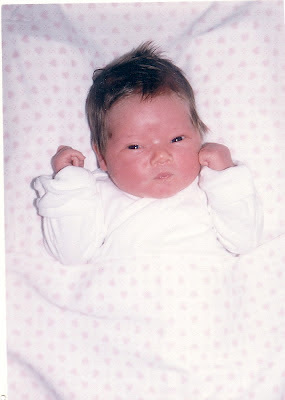 I was too young to care for a child, but have never forgotten her and hope she was given the life I could not give her. This is one of the greatest stories I have read!!! I'm so happy for all of you! During the toughest times in our lives the greatest things can happen!